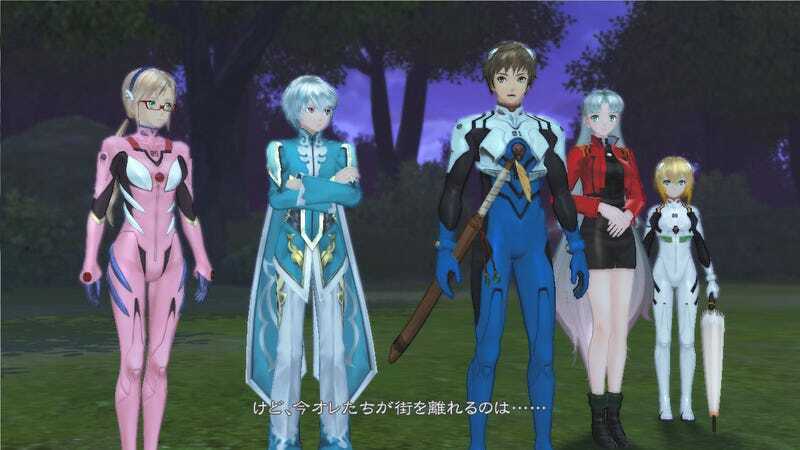 Tales of Zestiria Evangelion DLC Coming West! Like clockwork a new Tales of... game comes west bringing with it a slew of DLC of various varieties that is kinda... meh, this is Namco Bandai we’re talking about here. However every recent game in the series has had a tie in anime that provided interesting costumes for the series (again Namco Bandai...) we’ve had Code Geass and Star Driver crossovers but due to licencing issues this DLC has never come west. Instead we’ve had to live with your standard issue swimsuits and school uniforms all of which used to be free (Ya still not over that...). Other DLC includes; Swimsuits, School Uniforms, and Classic Tales of... costumes featuring... well you know the popular characters by now don’t you? Here is an image of the Akito: The Exiled DLC we missed.